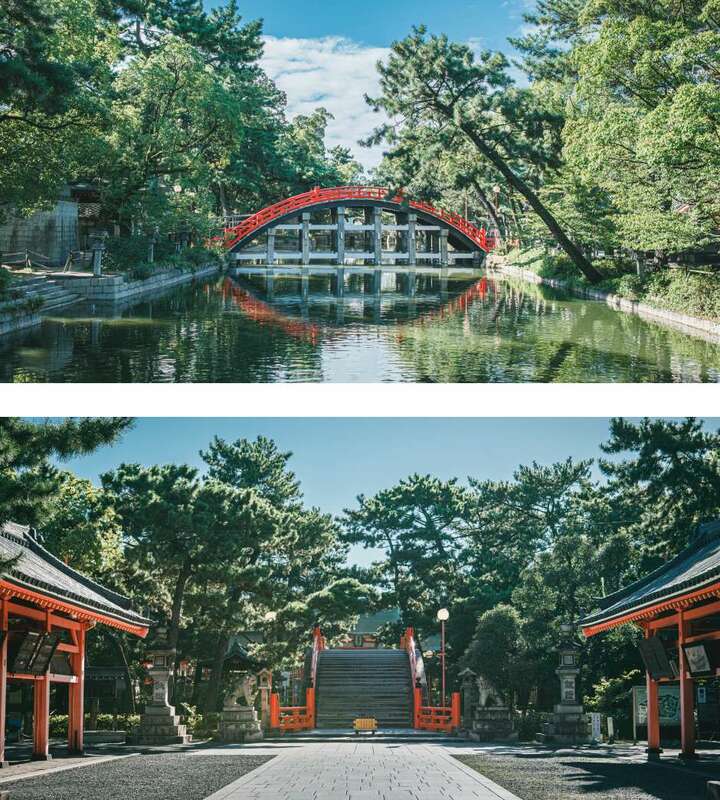 One of Japan's most renowned shrines, Sumiyoshi Taisha is the head of approximately 2,300 Sumiyoshi shrines throughout Japan. and prosperity in the coming year. 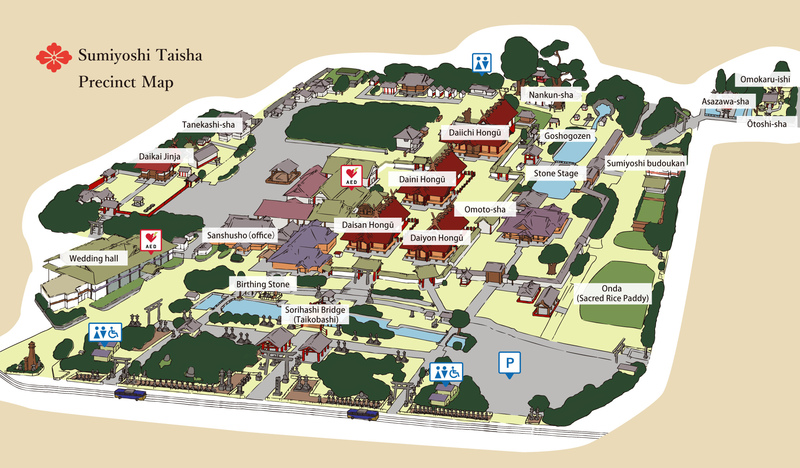 numerous cultural properties, and the main shrine hall, which is a designated national treasure. The over 1000-year-old giant trees found here are venerated as gods. 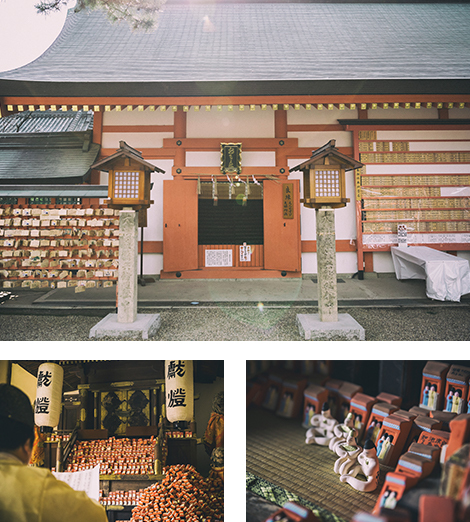 This is the site of worship for gods offering success in business and the power to attract people and, as a result, is visited by travelers from across Japan. 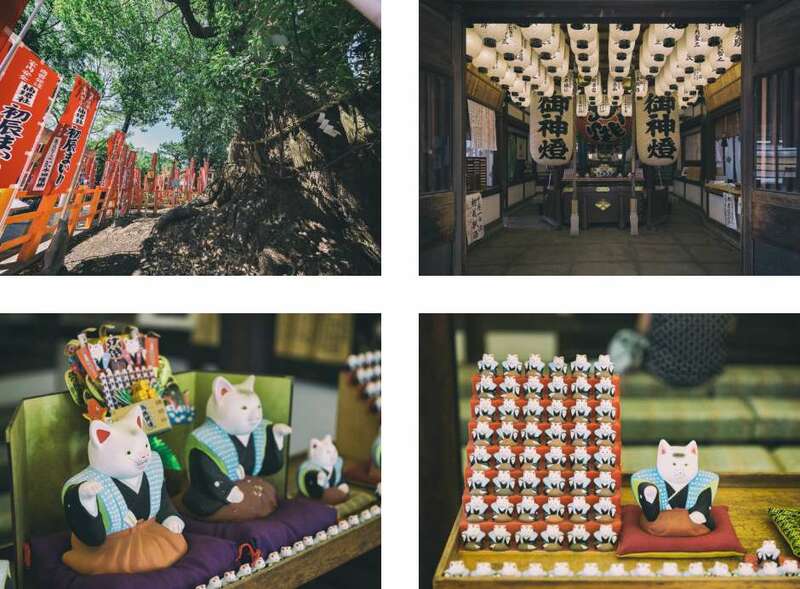 The popular Maneki Neko found here are 500 yen a piece and are designed to invite people and prosperity in the family with the left hand and money and success in business with right. An emblem of Sumiyoshi Taisha, this bridge is also called 'Taikobashi' (drum bridge) from the reflection it casts on the water's surface. It is believed that crossing the bridge drives away evil and purifies one's spirit. The bridge is illuminated daily until 9pm. 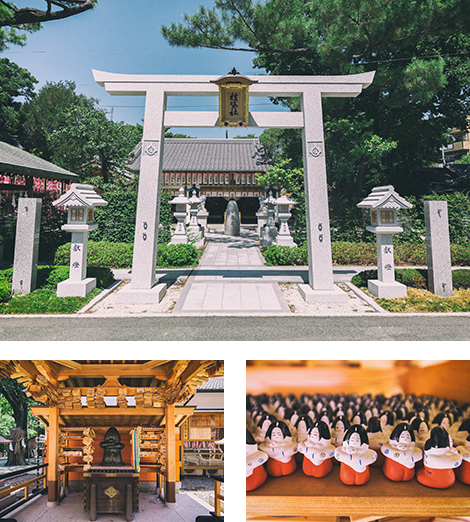 This ancient shrine was included in the listen of official Japanese shrines compiled around the 10th century. It is worshipped particularly as the site for the god of blessing couples with child. Dolls for bringing luck in conception are sold at the souvenir shop for 1,000 yen. As the god for improving relationships and bringing people together, this site offers divine blessings in matrimonial happiness and good fortune in matchmaking. Dolls for luck in romance and matrimonial harmony are sold at our souvenir shop. This sacred ground is where the Sumiyoshi Okami first descended. 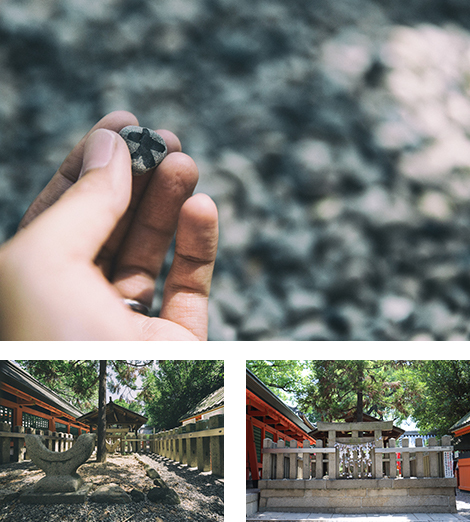 It is said that the prayers will be answered of those who find and collect 3 stones inscribed with the characters '五(Go)', '大(Dai)', and '力(Riki)' and keep these as a charm. Bags for collecting the stones are sold at the souvenir shop for 300 yen. These stones foretell whether or not one's prayers will be answered. 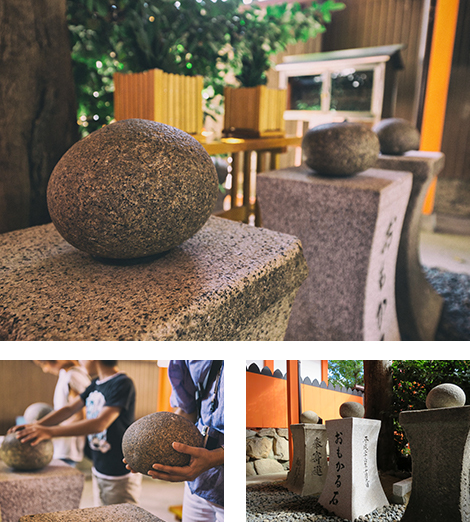 If after picking up the same stone twice, it feels lighter the 2nd time, it is said your prayers will come true. 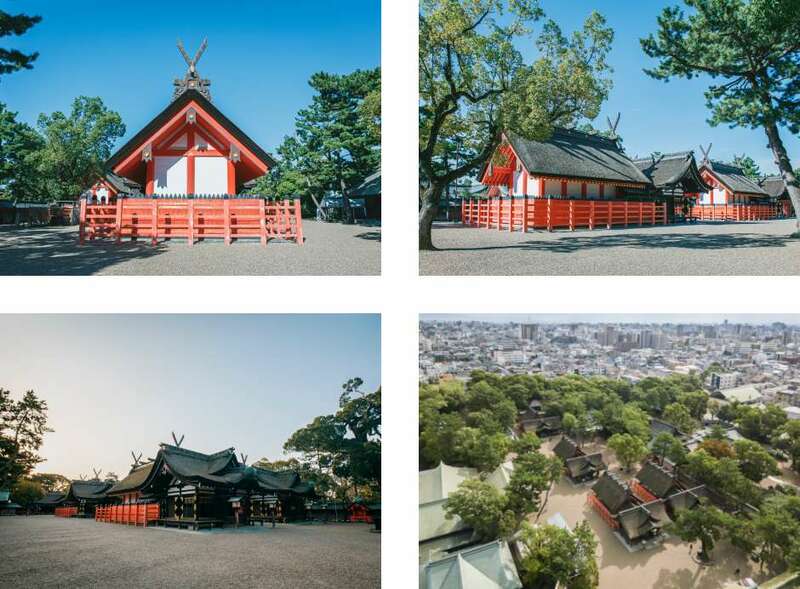 Designated as a national treasure, the 4 buildings making up Honden are extremely important structures that express the 'Sumiyoshi-zukuri' style of shrine architecture dating back to the 5th century. The current Honden was built in 1810 and, in an ongoing tradition, undergoes restoration once every 20 years. Copyright © Sumiyoshitaisha. All rights reserved.